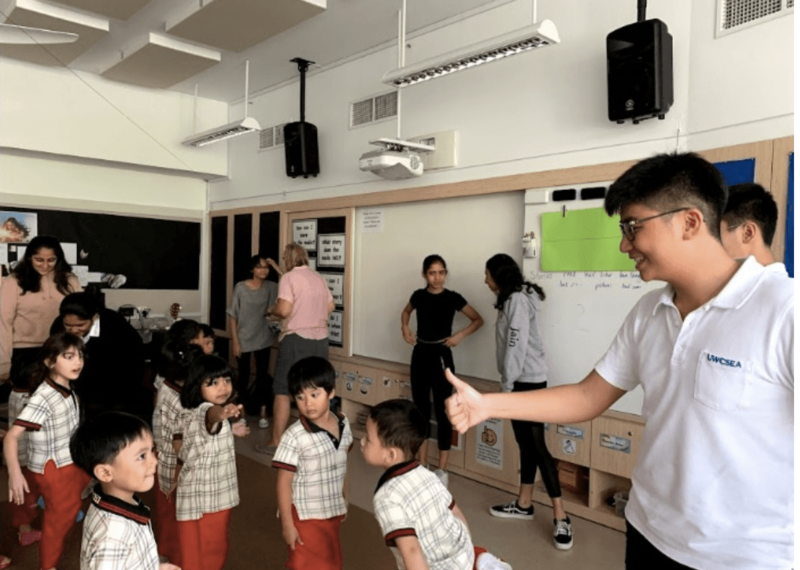 PPIS is a fantastic service where committed members of the UWCSEA community come together every Friday afternoon to have fun with kids from the PPIS school. The children who come to us are typically of Malay decent, with some being underprivileged. With the myriad of resources that us UWC students have at our disposal, we create the best 1 hour session we can to help liven them up! We play games, dance, colour, go to the playground and more. Join us on our journey to making the children (and ourselves happier)! The kids really liked the play with different people acting as different characters, and they got really excited and into the play. They seemed really interested in the play and what we were doing. The kids seemed to enjoy the colouring for a certain period of time but they also started getting a little antsy after sitting for so long, during the questions after they sat through both the colouring and the play. The preparation process was challenging for us since we did not have time to rehearse the play. We also had to be flexible and creative with how to make the play look more entertaining, for example by using props such as chairs. So for next session, we will try to keep in mind the balance between active and passive activities. After discussing various children’s stories, we came up with the idea of Little Red Riding Hood. The main challenge we had to overcome was keeping the kids engaged and finding a suitable video to use to tell the story. Next time, maybe we can play a different type of game with them. Sometimes the kids get a bit TOO excited when playing games and so they might unintentionally push their friends over. We are trying really hard to let the kids understand the things we are trying to express. Our topic is music. Sometimes the kids may not pay attention or the activity may be too hard for them. Musical chairs and going to the playground are always good ideas to get the kids’ attention. Some of the kids could not understand the question when it was told the first time so we had to be more clear and ask the same question more than once. The kids loves to play outside in the sand. 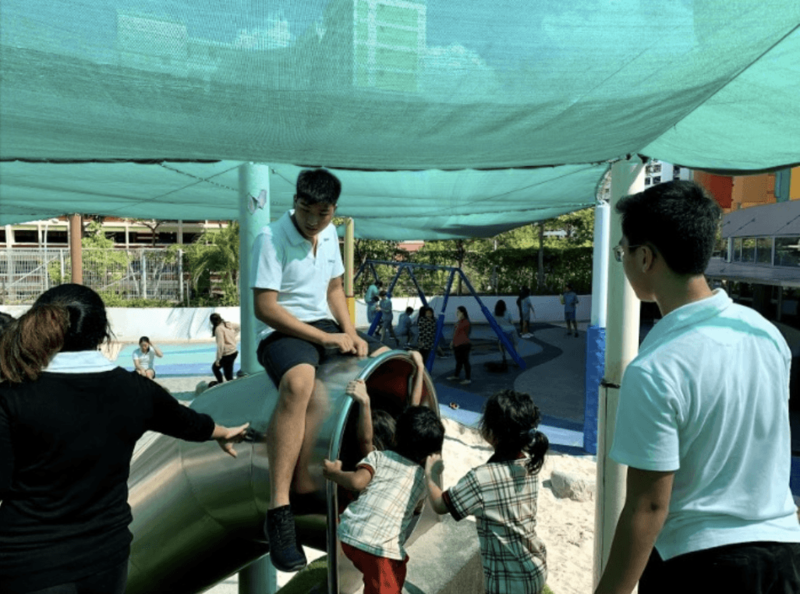 Most of the time the kids are able to entertain themselves on the playground but we would still need to be able to be engaged with them.